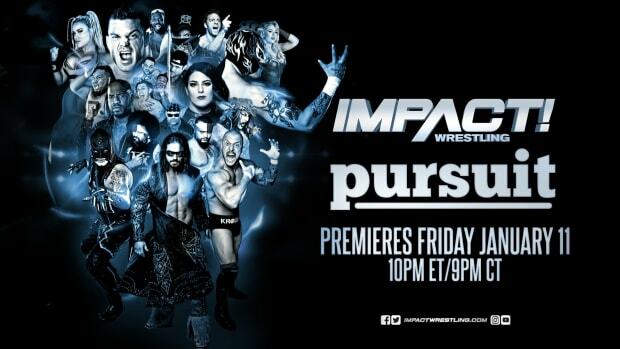 Official Preview For This Week's Impact Wrestling - Who Is The No. 1 Contender? - NEW World Heavyweight Champion James Storm will appear on the huge broadcast! Just one week after the TNA Original captured one of the biggest prizes in pro wrestling, Storm will address the fans on his future as champion! - In addition, the new GM "General Menace" of Impact Wrestling "The Icon" Sting will be in attendance this Thursday. Sting has promised to have a new #1 Contender for Storm&apos;s World Title by the end of the broadcast. Who will get the next shot at the gold? - Also on Thursday night, "The Charismatic Enigma" Jeff Hardy makes his in-ring wrestling return against Bully Ray! Can Hardy capitalize on his second chance - or will Bully Ray ruin Hardy&apos;s return? Tune in and find out! - Gail Kim also makes her return to action on IMPACT WRESTLING, facing Tara in a Knockouts match! The question is, will Knockouts Champion Velvet Sky be waiting to get revenge on Gail for attacking her last week? Or, will Knockouts VP Karen Jarrett continue to make Velvet&apos;s life a living hell? - Plus, the Television Championship will be on the line as Eric Young defends against Robbie E...in addition, Christopher Daniels battles Rob Van Dam...and more! Also appearing on Thursday night - Jeff and Karen Jarrett, "The Nature Boy" Ric Flair, "The Phenomenal" AJ Styles, Eric Bischoff and many more!